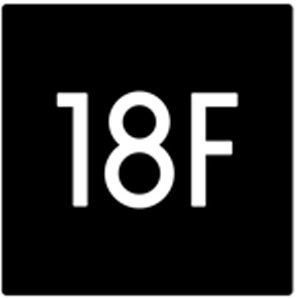 18F, the digital services team located within the General Services Administration, has come under fire for spending money poorly and disregarding security policies. It now operates under a president who ran his campaign under the promise of cutting spending and eliminating wasteful departments, raising questions about the future of digital services in government. Yet Ben Tuttle, geointelligence services development lead at NGA, acknowledged in an exclusive interview with MeriTalk that the digital services office has helped introduce NGA to a larger talent pool of techies. He meets with an 18F team in San Francisco regularly, and also maintains ties with the 18F and U.S. Digital Service offices on the East Coast. Tuttle also serves as director of NGA’s Silicon Valley outpost. His chief task in this position is to recruit young talent to work for NGA for brief tours of duty, usually lasting one to three years. Bright technical-minded people are frequently drawn to private companies because industry jobs tend to be more lucrative than government work. Through in-person visits, NGA gathered its first class of recruits in December. Tuttle stated that their tours with NGA will embellish their resume without consuming the future of their entire careers. Tuttle said Silicon Valley serves not only as a hub for tech geniuses, but also as a launch point for outreach efforts to the whole West Coast. He said he meets with industry representatives and academics from universities such as the University of California, Berkeley. In addition to establishing relationships with companies and universities, NGA’s team also meets with Federal counterparts in Silicon Valley once a month. Tuttle said he regularly works with the departments of Homeland Security, Defense, Commerce, and Interior. The efforts to attract new talent are one facet of NGA’s paradigm shift, according to Anthony Vinci, director of plans and programs at the agency. Vinci said that NGA faces an “innovator’s dilemma” in that it needs to replenish itself with new ideas despite its status as one of the major agencies in the intelligence community. Vinci worked in the private sector before joining the Federal government, and he said it is important that NGA bridge the gulf between the agency and the companies working in the big data field. According to Vinci, big data analytics and cybersecurity pressures have reached a point where NGA cannot work alone.